Sign up for Shevlin Investments free Market Commentary E-mail each week. Because of tax changes that take effect in 2013, some upper-income households are facing the prospect of higher tax rates on investment earnings. The potential for taxes to claim a larger share of investment earnings means that many people might take advantage of opportunities to invest in tax-deferred retirement plans such as 401(k)s and IRAs. Of course, many factors other than taxes should influence investing decisions, including your investment goals, time horizon, and risk tolerance. The following rate increases explain why you might consider the tax implications of investment decisions. For taxpayers with modified adjusted gross incomes (AGIs) above $400,000 ($450,000 for married joint filers), the maximum tax rate for qualified dividends and long-term capital gains increased from 15% to 20% in 2013. Investors in tax brackets below that threshold will continue to pay the 15% rate. A 0% tax rate still applies for households with lower incomes (AGIs up to $36,250 for single filers and $72,500 for married joint filers). On top of these rates, investors with AGIs exceeding $200,000 (single filers) or $250,000 (married joint filers) may be subject to the new 3.8% Medicare tax on net investment income, which includes dividends and capital gains. Mutual funds must distribute capital gains that are not offset by losses to shareholders on an annual basis. Any interest or dividend income generated by a fund is also passed along to shareholders. When a distribution occurs, each investor receives a payment equal to the per-share distribution amount multiplied by the number of shares he or she owns, and the fund’s daily price (or net asset value) is reduced by the same amount. When mutual funds are held in taxable accounts, distributions are taxable to shareholders (as long-term and/or short-term capital gains, dividends, or interest) for the year in which they are received, even if the distribution is reinvested in new shares. Before purchasing mutual fund shares, you may want to check the timing and amount of upcoming distributions so you don’t incur unnecessary taxes on gains that you didn’t participate in. Of course, investors may also incur taxes when they sell fund shares for a profit. The return and principal value of mutual funds fluctuate with changes in market conditions. Shares, when sold, may be worth more or less than their original cost. 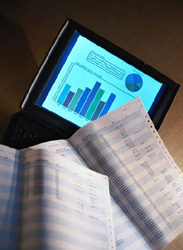 Certain strategies and types of mutual fund holdings tend to run up larger tax bills. For example, some actively managed funds may turn over securities more frequently and trigger more taxes than do funds with passive investment styles. And investments that generate interest or produce short-term capital gains on the sale of assets held less than one year are taxed as ordinary income at higher rates than long-term capital gains and qualified dividends. Dividing investments strategically between taxable and tax-deferred accounts may help reduce the effect of taxes on your overall portfolio. Keep in mind that the maximum tax rates for long-term capital gains and qualified dividends, as well as the tax treatment of investment losses, could make the return on a taxable account more favorable than a tax-deferred account. Securities Offered Through Cambridge Investments Research, Inc. a Broker Dealer Member FINRA/SIPC to residents of AZ, DE, FL, MD, NJ, NM, PA, VA.